← January was fun, but lets get on to February! I thought those pictures of my mom growing up were pretty cute. I cut her date to the dances out of the pictures so my dad wouldn’t get jealous. Haha. J/K. Hair looked like it was so much fun in the 50’s & 60’s. I can only imagine what it was like to be growing up in those decades. I do have a lot of fond memories growing up in the 80’s though. Oooh. It might be time for a Kelly 80’s hair collage! Just kidding…..I would never share those! 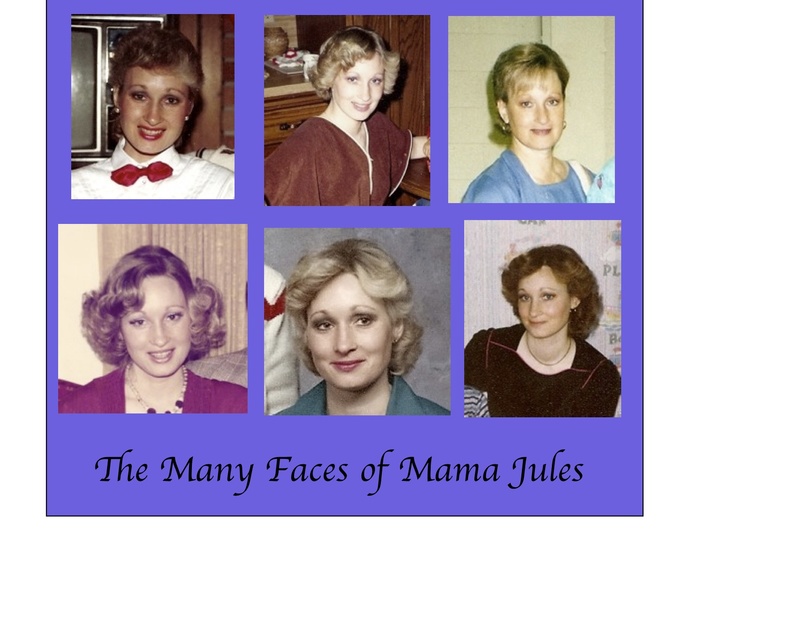 Here are more of Mama Jules instead. Ok, that is about all for today. That is all I can come up with! Feel free to give me some blogging ideas. Is there anything that you would like to know about our day-to-day life? Want to know what kind of toothpaste my mom uses? Want to know what is in her yummy food? Want to know if she actually enjoys being stuck in the house with me? hehe. I am your girl! Hi to all the Eagles!! I just recently was reconnected to your blog and absolutely love all of your updates. The pics brought back so many memories of High School and NWA. Thank-you for sharing. Will pray for Julie’s continued strength, health and for all of you wonderful care-givers! Thanks for the email Joan! Pictures are always fun to see! 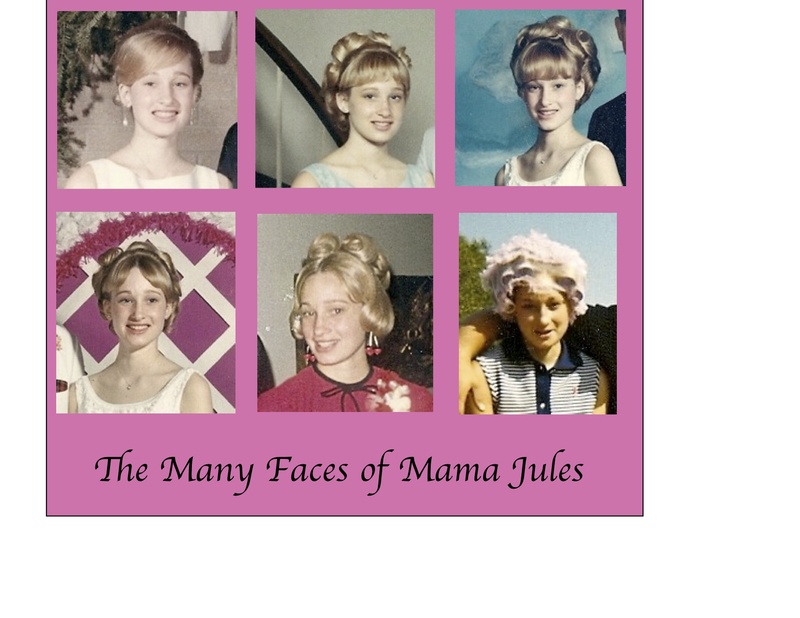 I am not sure who’s arm is around my mom in her curlers picture. But I know that her friend Gretchen was in the picture too! I love the photos of your mom! I can totally see you 3 kids in them. The first photo looks a lot like Jenna, the 2nd one like you Kelly, and the 5th one looks like Nathan. Love it! I agree Renee! It is kind of funny how you can see all three of us in her.